Time for something completely different? Need some inspiration? The return of the successful “InFusion RENDEZVOUS” brings 6 brand new surprising workshops. Limited places, so join now!! After the success of the last series, Tjarda offers everyone interested in a new perspective this special set of workshops. 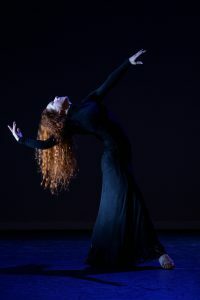 “InFusion RENDEZVOUS” features six different teachers from all possible disciplines, both inside and outside of dance, who each offer the gems of their specialty. Each time you join, you will not know what’s coming – quite literally: Tjarda does not disclose what the workshop will be. This way, you will be drawn out of your comfort zone into something unexpected. Both brain and body are used completely differently, so coming back to what it is you are trying to master, becomes all new. Please send an email to tjarda.nu(at)gmail.com to sign up. Your spot is reserved after payment.